The Saskatoon Blades are heading into the final weekend of the pre-season, still undefeated through six exhibition contests. Leading the charge is 18-year-old Michael Farren with 9 points in 5 games. 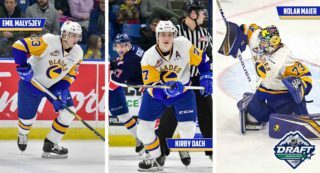 Kirby Dach is right behind with 6 points in 5 games while rookie d-man Zach Ashton is making his case for a roster spot with 2 goals and 4 points in as many contests. The roster still sits at 28 players, which includes 16 forwards, 9 defensemen, and 3 goaltenders. Of those players, three still remain at NHL camps. Kristian Roykas-Marthinsen and Eric Florchuk were both draft picks of the Washington Capitals in 2017 and 2018. 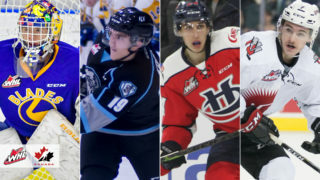 Both wingers will be looking to earn a contract from the big club before returning to Saskatoon. The other forward away is 2000 born pivot Chase Wouters. Undrafted last June, Wouters was invited to Tampa Bay for their summer development camp in July. From there he was invited to attend the Lightning’s rookie tournament last week, and earned a spot at the club’s main camp which began on Thursday in Brandon, Florida. 20-year-old forward Max Gerlach attended rookie camp with the Arizona Coyotes for a second straight season but returned to Saskatoon on Thursday. The veteran sniper is likely available to play for Saskatoon on Saturday in Prince Albert. 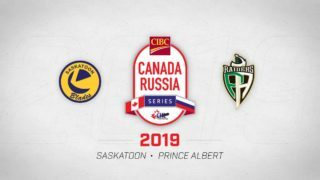 The Blades will wrap up the exhibition schedule Saturday night in Prince Albert, their fourth meeting of the pre-season with the Raiders. Fans can expect the roster to to be whittled down following that game, with announcements coming early next week. Off the ice, the Blades team is joining forces with the Humboldt Broncos on Saturday morning to support Hockey Gives Blood in Saskatoon. The entire team, coaching staff, and Pokecheck will be at the Canadian Blood Services building in Saskatoon at 11:30am Saturday morning. The Blades coaching staff will be donating blood alongside the coaching staff of the Humboldt Broncos. Several Blades players donated to the cause during the off-season. 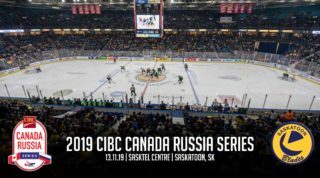 The regular season gets underway a week from today on September 21st as the Blades kick things off in Swift Current against the reigning champion Broncos. Fans can watch the game live– and all Blades road games– at Shoeless Joe’s Sports Grill. 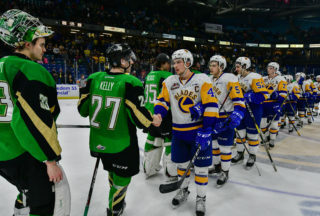 The two clubs will then return to Saskatoon on the 22nd for the Blades’ home opener.